Every year 15 million babies are born prematurely across the world. The 17th November marks World Prematurity Day and this is something that is very close to my heart having had a prem baby myself. 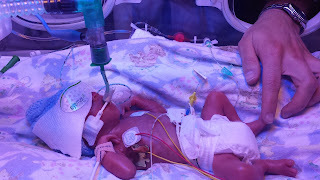 Having a premature baby is so incredibly hard. Firstly, it's not planned, for many women, it just happens without any warning or any reason. For me, I just went into labour at 25 weeks and it's not known why. I was fortunate that I was in very good hands at Birmingham Women's Hospital and they managed to delay the birth for 3 days to give Oliver the best chance. For many women, this may not be possible, or even worse, babies born before 24 weeks are not seen as "viable" and many hospitals will not resuscitate. When you have a premature baby everyone will know somebody that has had a premature baby that is now fine. We have all seen premature birth storylines in our soaps, and all those babies end up absolutely fine with no health complications. For many babies, this is true, but not all premature babies are so lucky. I remember when Oliver was born we were given a book at the hospital which listed all the conditions that prem babies can suffer from. I skimmed past NEC (necrotising enterocolitis) as it sounded far too nasty, and at 7 weeks Oliver developed it and that changed his entire life path. It was at this point I decided to start blogging about our little man, and his long, long journey. Many people simply do not understand the impact of having a premature baby, they simply think they have been born a bit early but will be ok. That often couldn't be further from the truth. It's not just the implications of having a sick baby, it's the logistics of being with them, sadly many hospitals cannot care for premature babies and for us we were always an hour's drive away from home, yet still needed to maintain normality for our then 5 year old. There's the financial impact- maternity leave starts as soon as you have your baby so the maternity pay clock starts ticking and you're therefore expected to return to work sooner which often isn't possible. Partners often need to take unpaid time off work, and then there's the costs associated with being away from home and travelling to hospital. Parking alone used to cost us at least £5 a day, depending on the hospital. We are very fortunate to live in a country that has such a great healthcare system, and where treatment is done without question for us and our babies. Imagine living in a country where treatment was not provided as standard because it wasn't available, you had to pay for it or your health insurance wouldn't cover it. 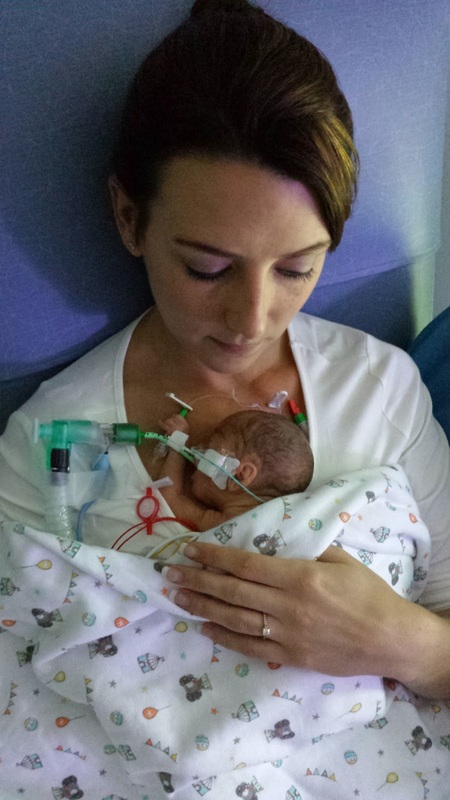 Please support World Prematurity Day by visiting Bliss and donating to their appeal. You can also find out much more on Facebook. Why not change your profile picture to show your support for World Prematurity Day. Below is a video of Oliver's first year. Visit my blog oliverjonesmummy.wordpress.com to read more about our little fighter.